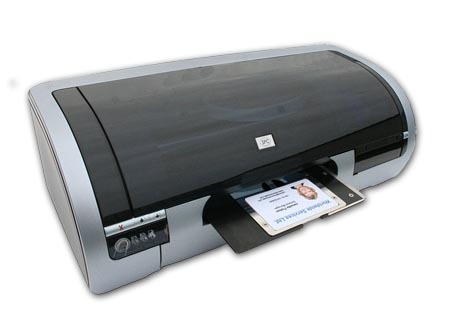 The Digital Inkjet Card Printer is for the personalization of ID cards or e-ID cards with a Paper based surface. The Card Printer is printing Image and demographic data, including MRZ lines, Barcodes etc. 4 visible and 3 invisible (UV) colors can be printed. The UV printing is world unique individually printable as separate design. Easy and user friendly loading and unloading of the cards.